Modern mobile devices with all their characteristics imply an individual usage model. However, sometimes there are times when the skills of your phone will be needed at once by the whole company. For example, if you want to make a speech. In this case, megaphone application will be useful to you. 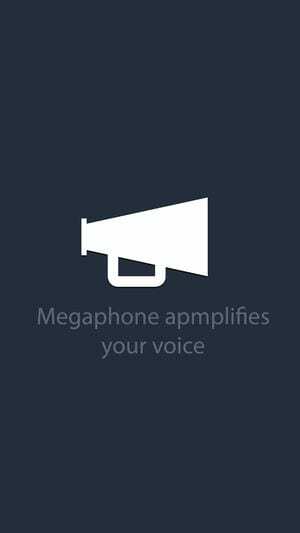 This is a simple megaphone app for Android that helps to raise your voice. After downloading the application, you will see a megaphone on the screen. 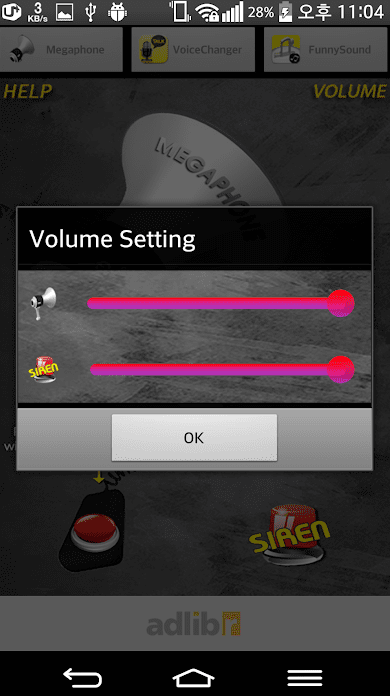 To start, press and hold right red button for more than 2 seconds to turn on the megaphone. Then, speak. You will hear your voice. You can adjust the volume if necessary. No additional features are here, just what you need. 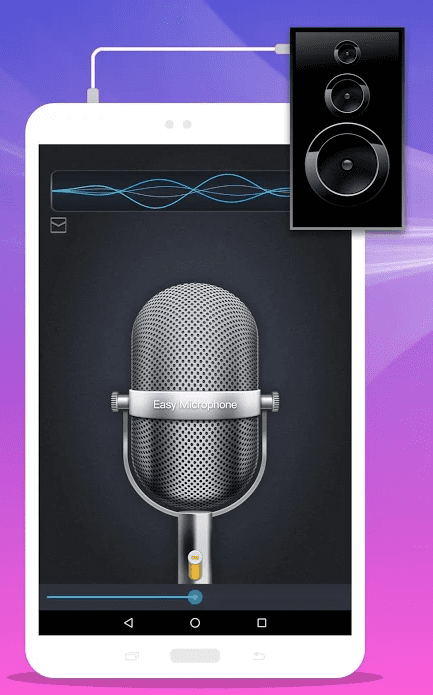 Easy Microphone is an interesting application that allows you to use a microphone on your smartphone. The principle of operation of the Easy Microphone is quite simple: you can use the microphone of your smartphone or even a microphone connected via Bluetooth. You will need to activate the microphone by pressing the microphone button, and then begin speaking. You will immediately hear your voice getting louder. The only problem with Easy Microphone is that besides voice amplification, the application continues to record voice when you use the application, and stops recording by itself. Because of this, the result is often so distorted that it is almost impossible to distinguish sounds. However, if you just want to experiment, recording distorted and unique sounds, then Easy Microphone would be an excellent choice. The application is very easy to use, and it offers some really interesting effects. Strengthen and distort your voice with Easy Microphone. 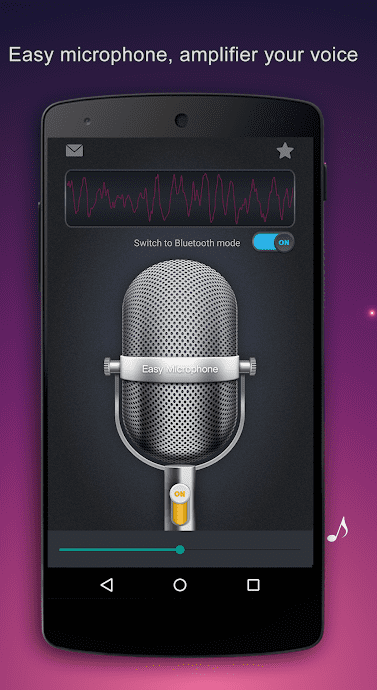 If you want simply to amplify your voice through a speaker in real time, download Microphone Live for iPhone. It is free and easy to use. Now, you have a possibility to use your smartphone as a live microphone! Here, you can change volume swiping up or down. Do you want to get everyone’s attention? Are you going to make an announcement? In this case, you need to download this particular application. Megaphone Free is not as popular as other applications but still worth being on our list. It will simply transform your gadget into a megaphone. How does it work? You need to plug-in regular speakers and speak through the microphone of your device. 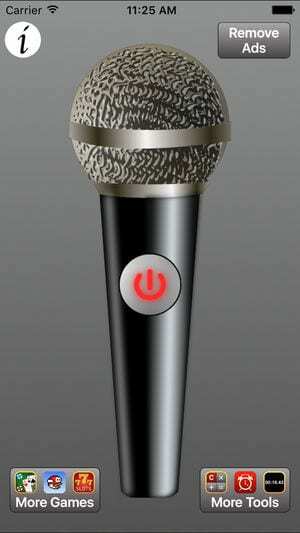 If you are going to make a public speech, open the application and press the button on the microphone. So, everything is ready, you can start talking. To turn of the megaphone, press the center button again. 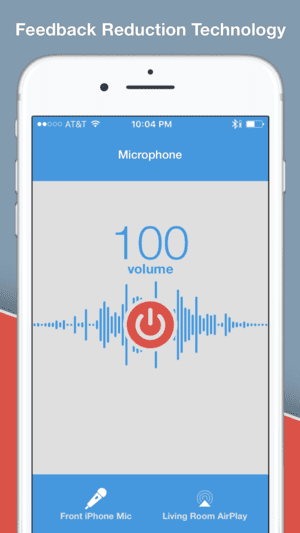 Megaphone: Voice Amplifier is a unique application that you must download on your iPhone! 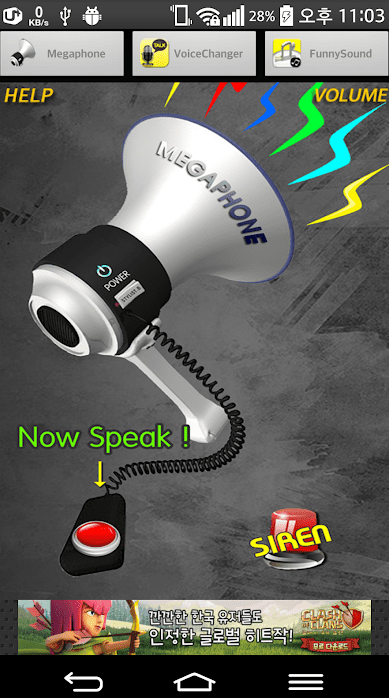 It will transform your phone into a megaphone with one click! After you open the app, you will easily understand how to work with it. There is nothing complicated. 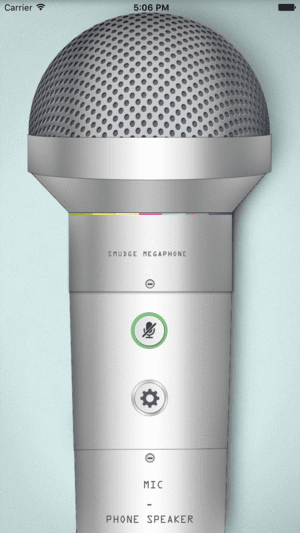 If you are at a party and playing music from your iPhone on the stereo, you can just launch Megaphone, and use your iPhone as a Microphone as you make a speech! You will never need to hire a microphone again.